When your loved one needs in-home care, you need to know they will be safe. With over 35 years of experience, Homewatch CareGivers offers quality in-home care in Chicago and the North Shore suburbs for seniors and people of all ages. We give you the peace of mind you need – relieving your stress and preserving your loved one’s dignity. Keeping your loved one safe at home, our caregivers provide personal care that includes bathing, grooming and feeding that helps individuals maintain independence. For those who need continuous care we offer experienced, reliable live-in caregivers that can provide 24 hour, around-the-clock peace of mind. We help our clients receive their Long Term Care insurance (LTCi) benefits with free support services that ranges from opening a claim to receiving regular benefit payments. Homewatch CareGivers Northshore is a professional home care agency dedicated to providing comprehensive in-home care services, senior and elder care services and Alzheimer’s and dementia care. We offer 24 hour live-in care services to Chicago area residents, including Cook County, Lake County and the North Shore suburbs. We strive to maintain our clients’ independence, dignity, and self-esteem, while supplying them with the support and care they need. With more than 35 years of in-home care experience, our compassionate team of in-home caregivers is ready to ensure your continued safety and security at home. We pride ourselves on maintaining close ties to our clients and the community. By keeping a local focus, Homewatch CareGivers provides home health services with a caring and personalized approach that makes us stand out from other elder care providers. Best-in-class caregivers, industry-leading training and unbeatable quality assurance combined with customer-focused care and support. With more than 35 years of caregiving experience, our dedicated home care support team is ready to ensure your continued safety and security at home. The Homewatch CareGivers company was established in 1980, and boasts more than a 30-year track record of success. In 2016, we recorded more than 4.7 million hours of service. 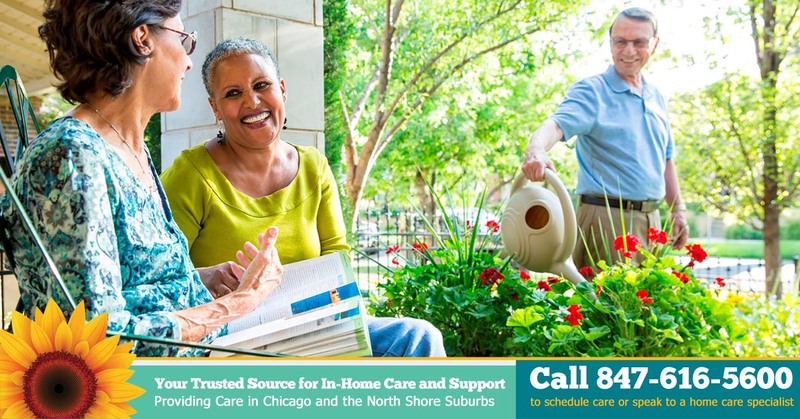 Homewatch CareGivers offers home care services throughout Chicago and the North Shore suburbs including both Cook County and Lake County. We provide our home care, senior care and dementia care services to residents of Arlington Heights, Buffalo Grove, Chicago, Deerfield, Des Plaines, Evanston, Glencoe, Glenview, Grayslake, Gurnee, Highland Park, Fort Sheridan, Highwood, Kenilworth, Lake Bluff, Lake Forest, Libertyville, Lincolnwood, Lincolnshire, Morton Grove, Niles, Northbrook, Park Ridge, Round Lake Beach, Skokie, Vernon Hills, Wilmette and Winnetka.